Because of excess rainfall and lower prices, Peace United Church of Christ-Hartsburg farmers only made $10,605 –about half of what they’ve made other years. 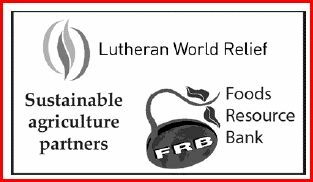 We split that amount between LWR and UCC/FRB programs – $5,302 went to FRB/LWR overseas farming projects. We had given Peace $4,600 in the spring to help with seed and fertilizer. St. Andrew’s gave $500 to Peace Lutheran-Salisbury farmers. That project also raised less than usual with $7,786 going to FRB/LWR overseas farming programs. With farm prices lower and erratic weather, FRB recognizes that we must seek new sources of income other than depending on those commodities. FRB reached 1 million people in its last 15 years – and has set a goal of reaching the next 1 million in seven years. When is our Lenten FRB/LWR offering? March 5-6. Use the corn bag in your church mailbox as a reminder to pray for the world’s hungry and to save your money for our annual Lenten offering. 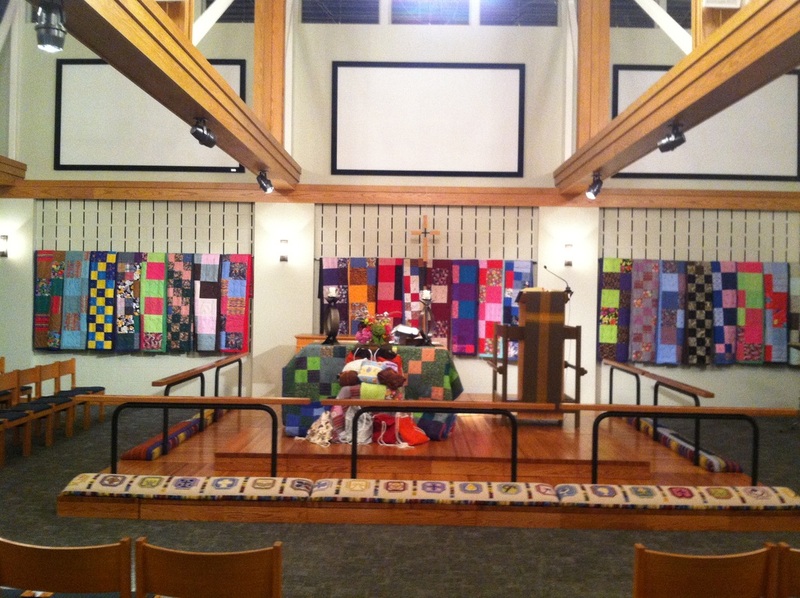 Our offerings will go to FRB/LWR programs in Haiti, Nicaragua or Peru. 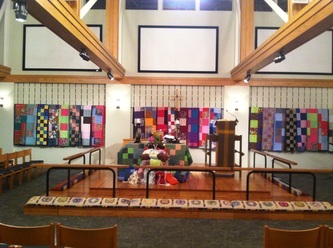 Our Lutheran World Relief quilts and kits are off this week – first to St. Louis, then Baltimore and finally overseas. Saint Andrew’s contributed: 103 quilts, 230 school kits, 9 personal care kits, 32 baby care kits, 3 fabric kits, and 4 fleece-tied blankets! 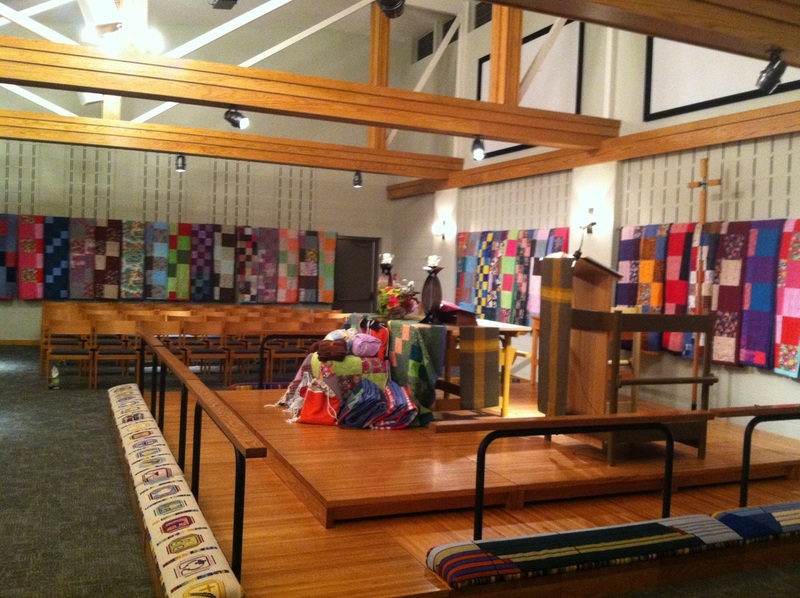 On Saturday, October 24, 2015 our trailers will transported (combining Saint Andrew’s contributions and other area churches): 732 quilts, 634 school kits, 110 personal care kits, 84 baby care kits, 5 fabric kits, 41 fleece-tied blankets, and 50 pounds of soap. These gifts will help so many people overseas! A record number of refugees and migrants are fleeing war and poverty from the Middle East and making the life-threatening journey to find a safer, better way of life in Europe. With each day bringing new stories and graphic images of the desperate, often deadly situation – as a church, we are called to respond. ﻿Click Here to give online. Lutheran Disaster Response is committed to meeting the basic humanitarian needs and upholding the rights of those fleeing war and oppression. We are working – and in the coming weeks and months ahead will continue to work – with our trusted partners and companion churches, who are helping provide safety, support and basic amenities, such as water, food and shelter. Your gifts are needed now to help with immediate relief. Gifts designated for the Middle East and Europe Refugee Crisis will be used in full (100 percent) to assist those directly impacted by this crisis. Merrifield, VA 22116-8009eck's memo line.